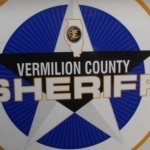 Vermilion County Sheriff’s Police are investigating an incident in which a motorist was hit by a stray bullet Wednesday evening (January 16, 2019). Chief Sheriff’s Investigator Michael Hartshorn says a 28-year-old Georgetown woman was shot as she drove along route one. Hartshorn says the bullet had apparently been fired by someone involved in an altercation at a nearby home. The incident occurred shortly after 6:00 p.m. Wednesday. Hartshorn told VermilionCountyFirst.com News that the woman remains hospitalized after undergoing surgery, but her condition is not being released at this time. Hartshorn added Sheriff’s Investigators worked into the night interviewing people as they attempt to determine who was responsible for the shooting. So far there have been no arrests in connection with this incident. The location where the woman was shot is just outside the Georgetown city limits. Anyone who has information that might help solve this crime is asked to call Vermilion County Sheriff’s Investigators….or you can leave information anonymously if you would like by calling Vermilion County Crime Stoppers at (217) 446-TIPS.